Annabelle gained a loyal comedic following during her many years hosting Dinner and a Movie on TBS. She is a frequent guest contributor to The Today Show, CBS Early Show, Real Time with Bill Maher, CNN, and Fox. 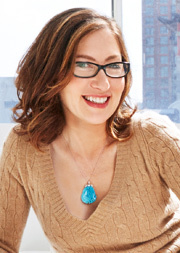 Gurwitch co-authored You Say Tomato, I Say Shut Up (2010) along with her husband Jeff Kahn. Tomato is a play now in its fourth year of touring the country. The documentary Fired (2007), based on her book Fired! Tales of the Canned, Canceled, Downsized & Dismissed (2006), premiered as a Showtime Comedy Special and played film festivals around the world. She has been a regular commentator on NPR and a contributor to The New York Times, The Los Angeles Times, Los Angeles Magazine, Salon, Harper’s Bazaar, Nation, More, Glamour, Jewish Journal, and a number of other national publications. Her acting credits include Seinfeld, Boston Legal, Dexter, The Shaggy Dog, Daddy Day Care, and hosting programs on The Planet Green Network, ABC, The Style Channel, and HBO. She regularly performs around the country at venues including: Joe's Pub, 92nd St Y, Caroline's on Broadway, and on The Mainstage. She is currently adapting I See You Made an Effort for the F/X network.